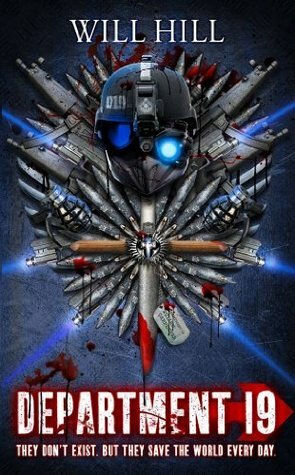 When I started Department 19 it felt like a very well done but pretty standard hero’s journey story: Young teenager discovers a secret government department hunting vampires and of course he’s got a place in it. What’s evolved over five books is something much richer and much darker – the final volume should be humanity’s war against Dracula – a war for its very survival. But humanity has to face a darker enemy: itself. Humankind has done horrible things in the name of – or under the cover of – war, and despite being a YA book, Hill doesn’t shy away from humanity’s horror. The fourth in Will Hill’s excellent Department 19. Horror and action aren’t really my cups of tea. NEVERTHELESS I’m a fan of Will Hill’s books. They fill the gap that can be read as “mindless fun”, but they’re more than that. The crux of the story: Van Helsing et al were real – and set up Department 19, the secret bit of the (UK) government that hunts vampires. They were winning, but now they’re losing. Terrorism, torture, GCHQ, propaganda, and drug policy take centre stage, as in an allegory. Fun books – with a little bit more thought than strictly necessary. Department 19 is the code-name for the UK government’s secret vampire, werewolf, and other monster squad. Mostly focusing on vampires, but these are vampires as you’ve never seen them. This YA book delivers action and blood rather than a love story, and certainly no sparkles. Will Hill rides somewhere between the A-Team, the Bourne Whatever-ity, and the current vampire craze. Stoker’s Dracula is a history lesson, and the children of Van Helsing et al are the aristocracy of Department 19. 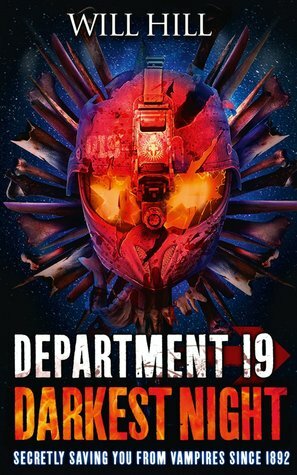 Bring along a healthy dose of willing suspension of disbelief – although it’s sometimes wordy and convoluted, Department 19 delivers.